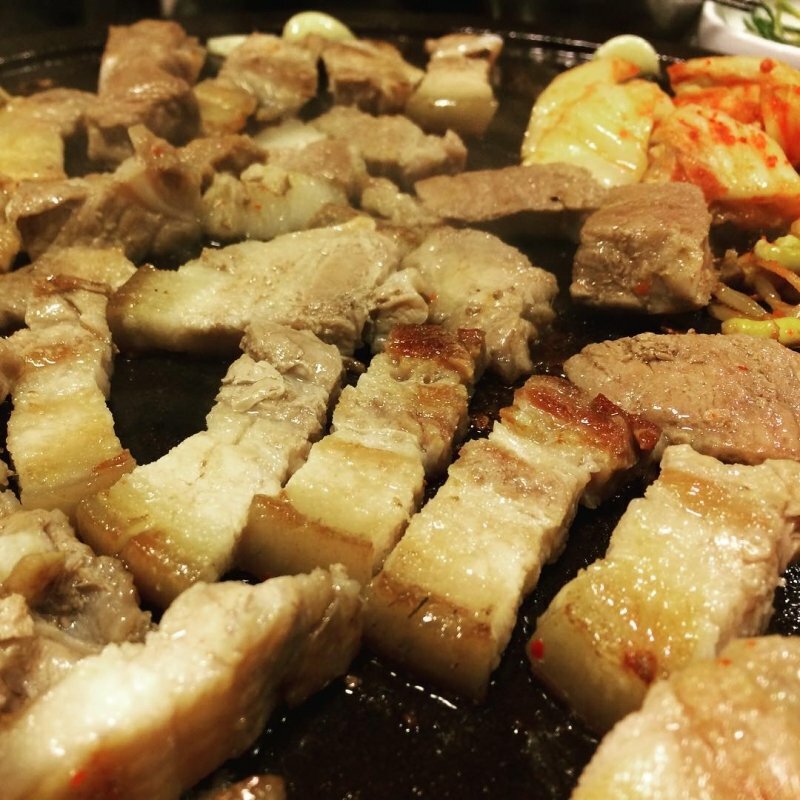 In May 2017, I joyfully ticked “South Korea” off my travel bucket list. Oh yes, for the first time in my life, I set foot in the holy land of K-Pop and kimchi and travelled there for 11 days (10, if you take off the day I left). I got to see the best sights of Seoul, Busan, and Jeju Island with my friend. And just like how we did in Japan, we managed to travel South Korea comfortably on a pretty tight budget. In total, we spent less than RM4,000 per person (less than RM3,500 actually but you’ll see why I said RM4,000 in a minute) including transport and accomodation! Here’s how we did it! Before we get into it, bear in mind that when I went to South Korea, it was a continuation of my 10-day trip in Japan. So basically, I cheated a little bit on airfare. Instead of flying to Seoul from Kuala Lumpur, my friend and I flew to Busan from Osaka, Japn for a meagre RM285. We then flew back to Kuala Lumpur from Seoul for RM620, bringing our total airfare to only RM905. However, to be fair and objective, we’ll use the usual price of return flights to Malaysia for our calculation. My tip is to book at least 6-8 weeks before your intended date of departure and try to schedule your flights in the middle of the week (Tuesday to Thursday) for the best prices. You can usually get tickets from RM1,000 to RM1,300 if you book with budget airlines. For now though, let’s just say that a return flight to South Korea will set you back about RM1,500. Because we all know you’re going to need to buy luggage allowance for your trip back! 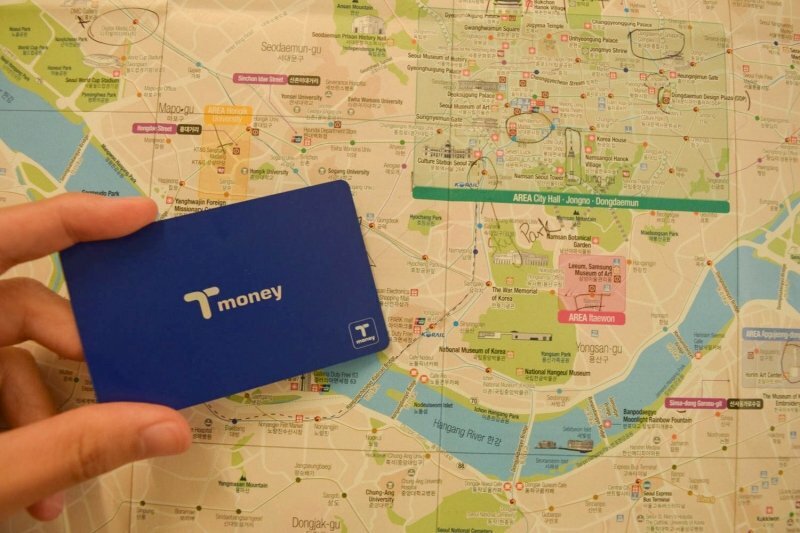 So, now that we’re IN South Korea, the first thing you want to do is to get a T-Money Card. You can get one at the airport or from the vending machines in the subway stations for 2,500KRW (RM9). It works the same way as our Touch N Go. You can use it anywhere in South Korea to ride the subway, public buses, taxis, and even to buy stuff at convenience stores. I cannot stress enough how important it is to get a T-Money Card, not just to save money on transportation but also to make life easier for yourself. The subway fares in South Korea are a little bit complicated and vary by region. 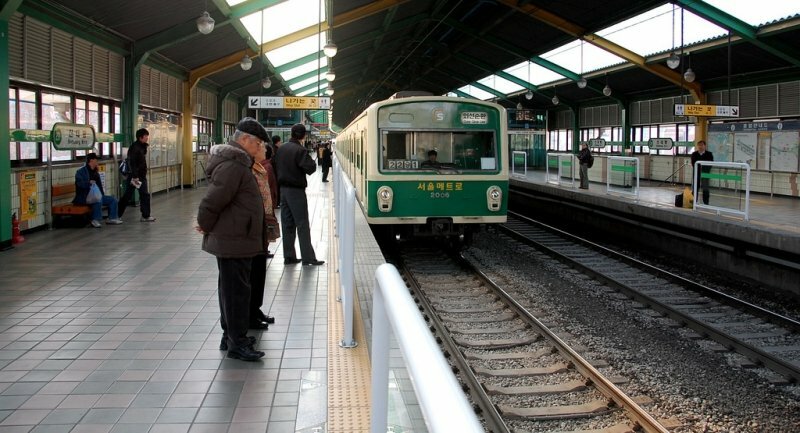 For example, in Seoul, the base fare for a single journey ticket within a 10km limit is 1,350KRW (RM5). However, in Busan, the base fare is 1,400KRW (RM5.10) and 1,600KRW (RM5.80) respectively depending on which area you’re travelling to. Not only does having a T-Money Card offer you a discount on fares, it also helps you save time if you’re planning to travel a lot on public transport. You can even return the card when you’re leaving the country and whatever balance is left inside will be refunded to you! I topped up my card with 50,000KRW (RM180) and used up almost all of it by the end of my trip. I decided to keep the card as a souvenir and for my next journey to South Korea. In Japan, my friend and I meticulously planned our journeys and even hopped on a 10-hour bus from Tokyo to Kyoto to save money. 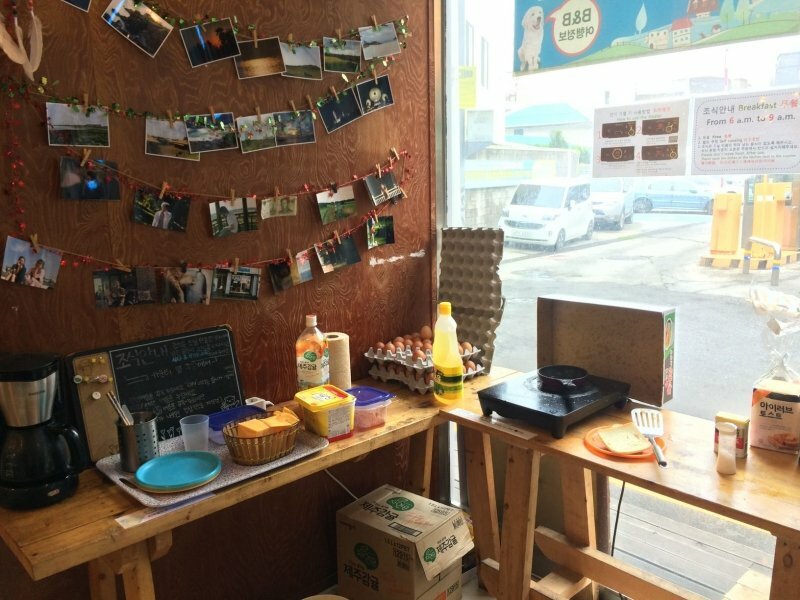 We couldn’t do that in South Korea for the simple reason that we wanted to visit Jeju Island. We could have taken the ferry from Busan but the ride would have taken us 12 full hours and would cost us only 10,000KRW (RM36) less than our flight tickets. What’s more, the ferry only departs on specific days of the week, which didn’t quite sit well with our plans. So, we booked a budget one-way flight to Jeju for RM165, which was pretty okay, all things considered. Our flight to Seoul 3 days later was a little more expensive at RM270. 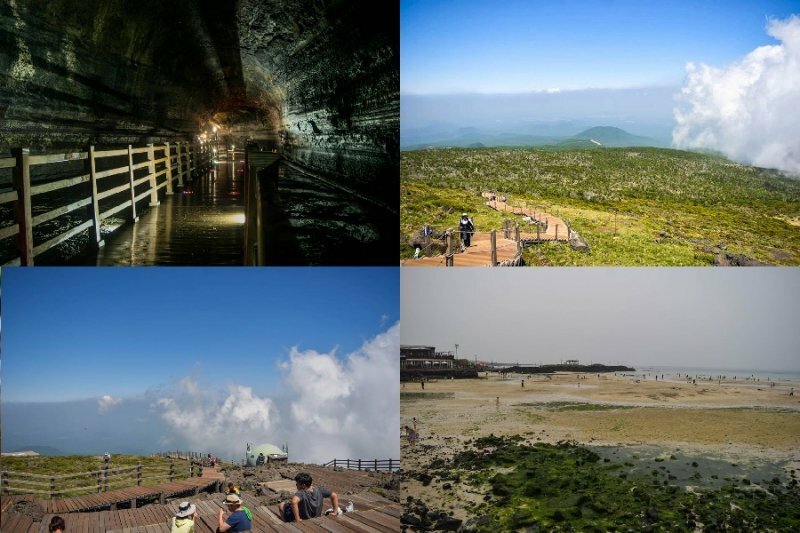 When you’re on Jeju Island, the only mode of public transport you’ll have are public buses. 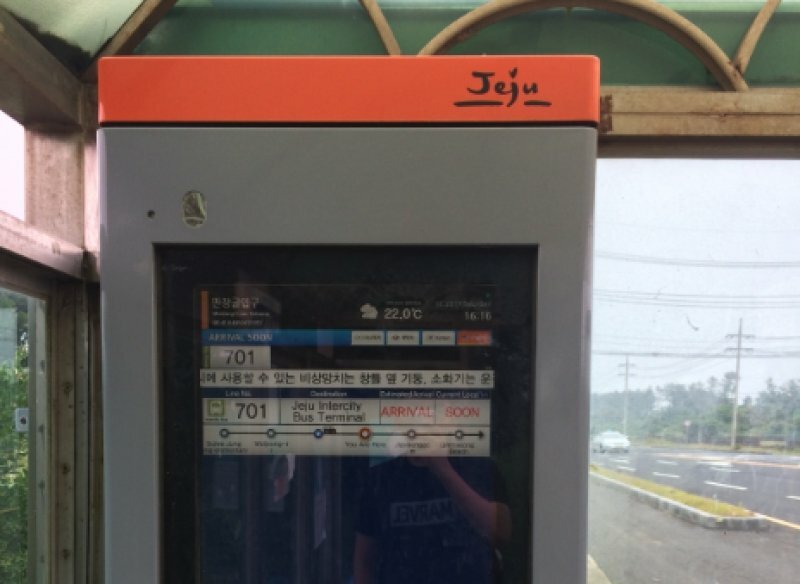 But before you get intimidated, most of the buses on Jeju have signage in English and there are even neat display screens at the bus stops telling you how far away your ride is. One thing to note is that there is no change for public bus fares, so either have the exact amount prepared, or, as I’ve earlier, get a T-Money Transport Card to make life easier. Once again, like how we travelled in Japan, my friend and I chose to stay away from the fancy linen sheets of hotels, even budget or business hotels. Instead, we chose to stay only in guest houses throughout our entire journey. We spent 4 nights in Seoul (73,000KRW – RM265 per person), 3 nights in Busan (56,250KRW – RM205 per person), and 3 nights on Jeju Island (RM175). That brings us to a total of RM645 over 10 nights = RM64.5/day for accommodation. Despite being the cheapest of all our accommodation options, our guest house in Jeju was by far my favourite. It had a quaint, homey ambiance that just drew people in. We met travellers from all over the world there and the staff were super nice as well. Rather than staying behind the counter all day, they interacted with guests. Basically, if there weren’t any guests checking in, they would just lepak around the common area, making friends and pointing out the best places for food (mostly BBQ), visiting, and shopping. There was even a simple free breakfast served daily. The only catch is that you have to cook it yourself! Although it wasn’t a majestic buffet spread, the simple breakfast we got was good enough to keep us going. And, it saved us quite a few Ringgit as well! Eh, can save means save lah, right? 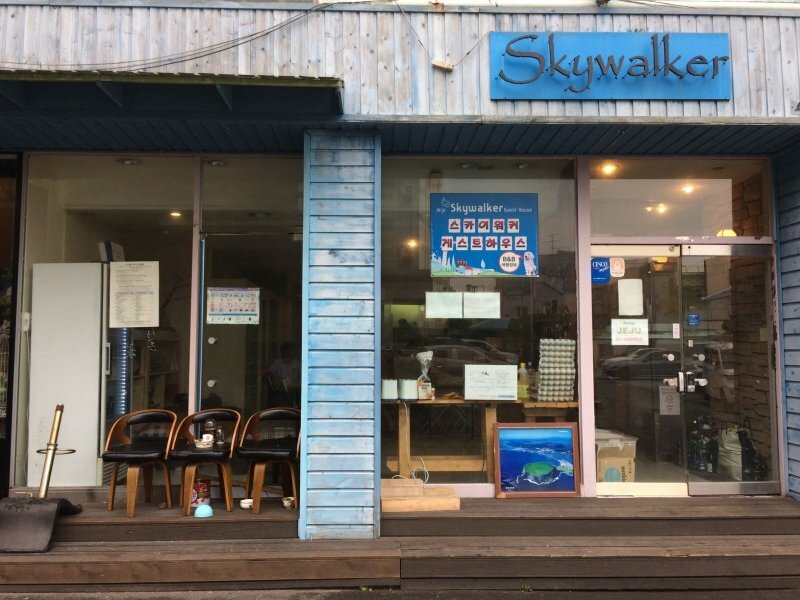 If anyone is interested, the establishment is called Skywalker Guesthouse (no prizes for guessing what the owner’s favourite movie series is!). You could also skimp on some accommodation fees by sleeping in Korean spas (jimjilbang) if you really want to experience life as a local. RM1,500 (return flights) + RM624 (transportation in South Korea) + RM645 (accommodation) = RM2,769. That’s not too shabby, considering we’ve already covered all the essential expenses. One thing I realised on my travels is that, true to my Malaysian roots, I spend more money on food than anything else. Seriously! And having been a fan of Korean cuisine since forever (I blame Running Man), I was pretty worried about how much I would spend for food. And the answer is…surprising, not that much. While my friends from Seoul would disagree, it’s actually possible, depending on how and what you eat, to keep your daily food spending down to 10,000KRW (RM36) a day on average. However, let’s just set our limit for this article at 18,000KRW (RM64) per day, which is 180,000KRW (RM645) for the duration of the trip. 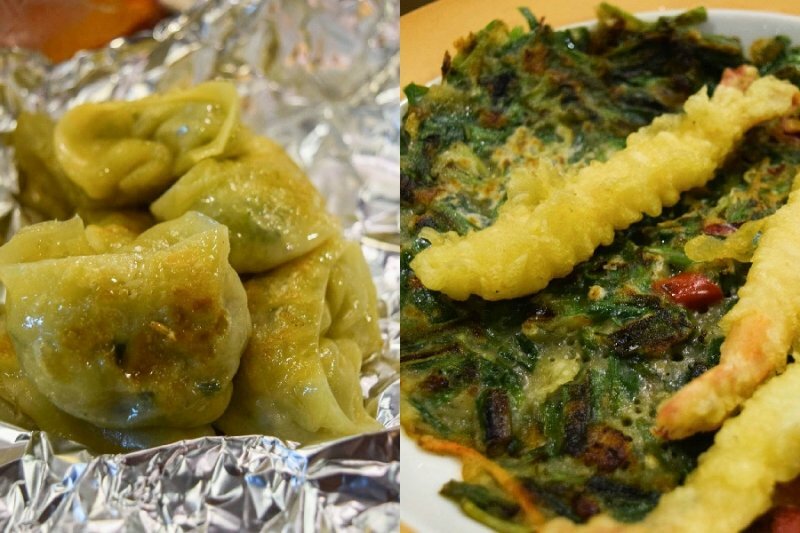 The average price of a meal in South Korea is between 5,000 to 7,000KRW (RM18-RM25) if you’re eating at a 식당 (shik dang), which is like an inexpensive restaurant. 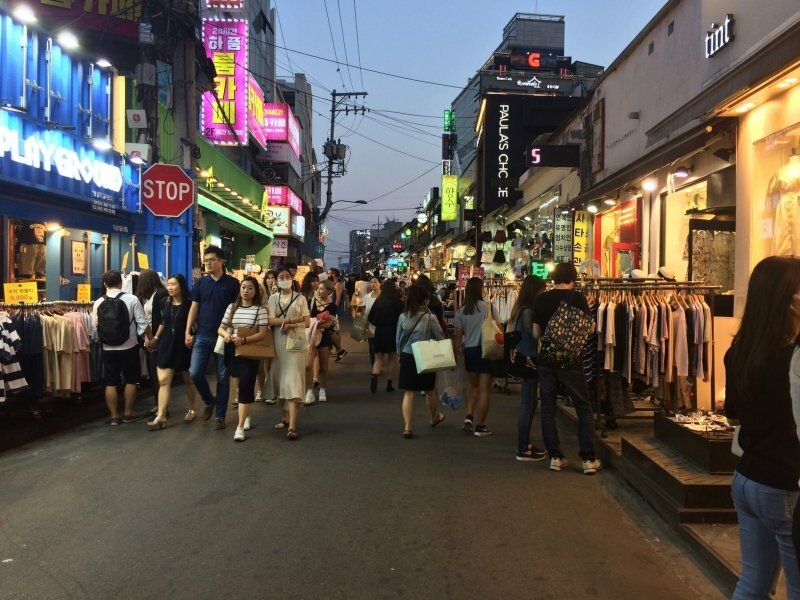 One tip is to look for food in areas where students frequent (like Hongdae), or on the outskirts of major commercial areas like Gangnam or Myeongdong. Other than that, it’s also more affordable to eat in street markets and from mobile food carts. 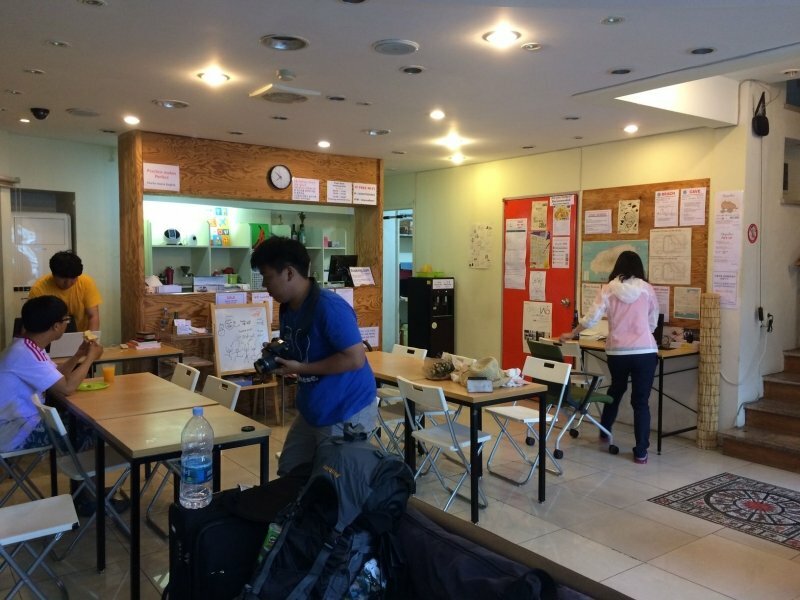 These are where you will be able to dig into popular street food like tteokbokki (spicy rice cake), eomuk (fish cake in broth), twigim (assorted fried food on skewers), kimbap (Korean rice roll), and more. 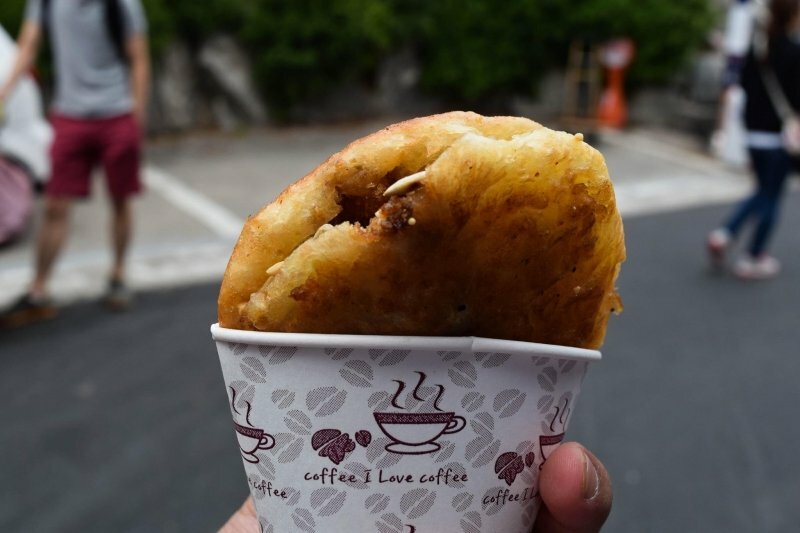 You can also frequent convenience stores like 7-11 for cheap breakfast bites. 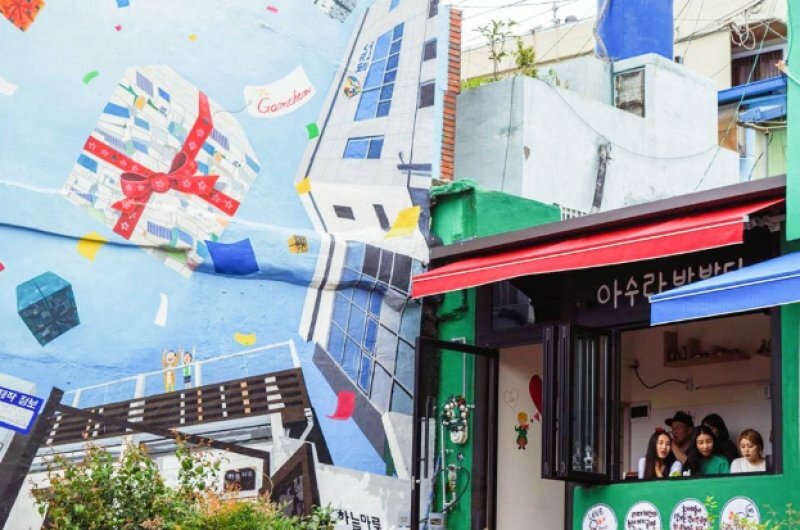 What’s more, if you manage to find accommodation with breakfast options included (like our guest houses in Jeju and Busan), you can save even more! Another helpful thing to remember when dining out in Korea is that water is usually given for free. 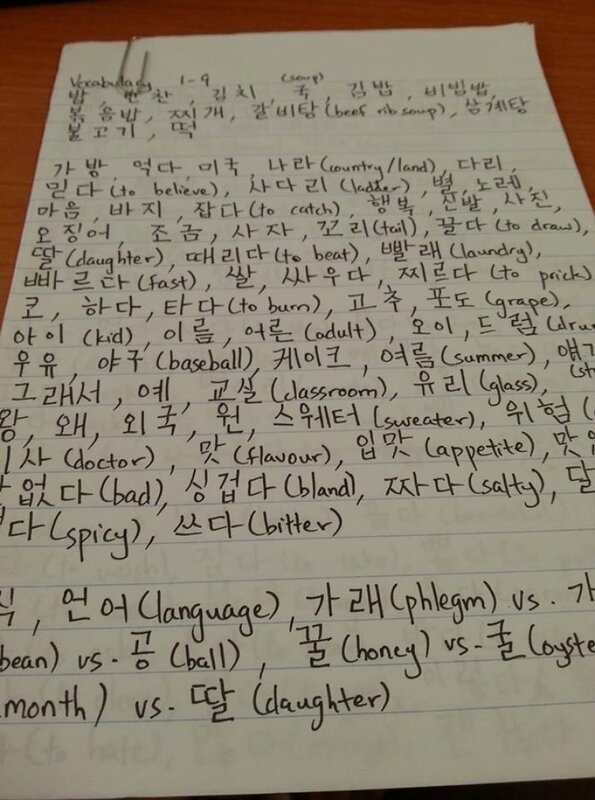 And finally the most underrated tip of all: learn to speak some basic Korean. Koreans are incredibly proud of their culture and you’ll be surprised by how being able to speak a little Korean helps the locals warm up to you. It’s actually not that difficult once you learn how to read the Korean alphabet. You don’t have to be able to give an award-winning speech, just stick to simple greetings and learning how to order food in Korean. This is especially helpful in street markets. When I was thronging the night market at BIFF Square (Busan), I tried to use as much Korean as I could. And while I made some mistakes, just the effort alone was enough to impress the vendors there. In return, they gave me just a little more than what I ordered for free (like an extra few pieces of dumplings, or an extra scoop of eomuk broth) for “speaking Korean so well”. It’s not really a tip that will save you a lot of money, but it’s certainly one way to help you assimilate into the local culture and enrich your travel experience! Besides, if you’re a K-Pop fan like me, it actually feels good when you’re able to hold a decent conversation in Korean. You just feel like a star! Just like Japan, you don’t have to spend a fortune in South Korea to see its most famous sights. My friend and I managed to keep our spending for admission tickets down to only 11,000KRW (RM40) but of course, it meant that we skipped attractions like Lotte World and Everland Theme Park. Of course, if you want to visit these iconic places, you can do so without having to go bankrupt too. The tip is to look for booking agents and tourism organisations offering discounts. Getting your tickets online through third-party organisations like Funtastic Korea is often far cheaper than if you simply strolled up to the entrance of the theme parks and purchased your tickets on the spot. For example, the regular fee for a one-day adult admission into Everland is 54,000KRW (RM196). However, if you purchase your tickets through Funtastic Korea, you pay a lot less. The only downside to this is that the discounted tickets often have a set validity period (like the above screenshot, which is valid from April to October only). That being said, all it takes is a bit of clever planning and it shouldn’t be a problem at all. 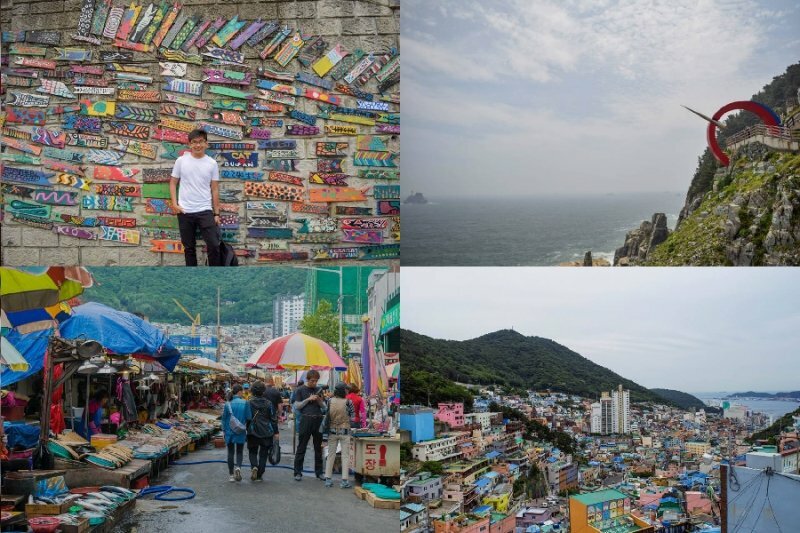 In Busan, we visited Jagalchi Market (largest seafood market in Korea), the Taejongdae Scenic Area, Gamcheon Cultural Village, BIFF (Busan International Film Festival) Square, Haeundae Beach, the Nampo district (good for food), and the famous Gukje Market. 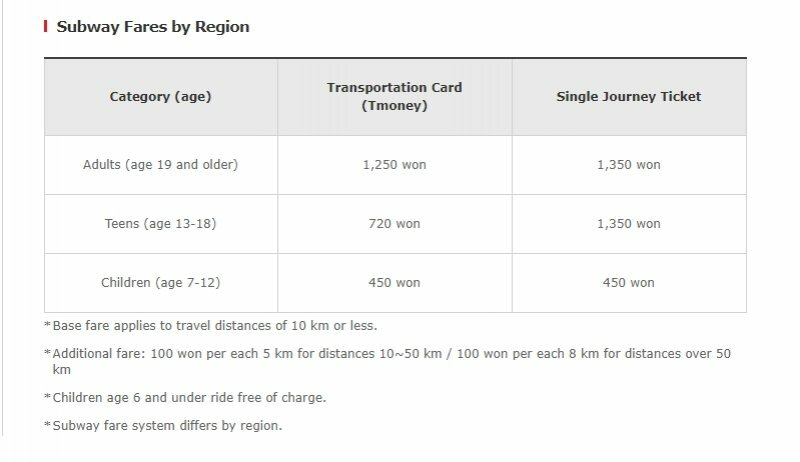 Out of all of these places, we only spent money at Taejongdae: 3,000KRW (RM11) for unlimited rides on the Danubi Train. Even that itself was actually optional. We could have simply walked all the way but realised how convenient it would be to be able to hop on and off at various scenic locations with the train. 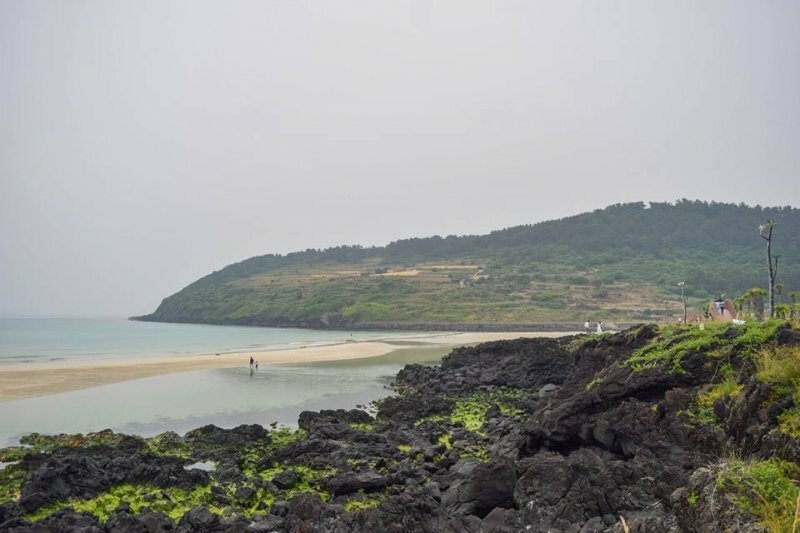 We did a little less on Jeju Island, managing to only visit the Manjanggul Caves, Dongmun Traditional Market, Geumneung Euddeum Won Beach, and Gimnyeong Maze Park. Oh yeah, we almost died hiked to the summit of Hallasan (Korea’s tallest mountain) too! We spent 2,000KRW (RM7) on entrance fees at Manjanggul Caves and another 3,000KRW (RM11) at Gimnyeong Maze Park. Pro tip: if your friend is directionally challenged, do NOT let him be the guide at the maze park! That’s about an hour of my life I’ll never get back. Sigh. Finally, in Seoul, we got to see some of the city’s most iconic sights. 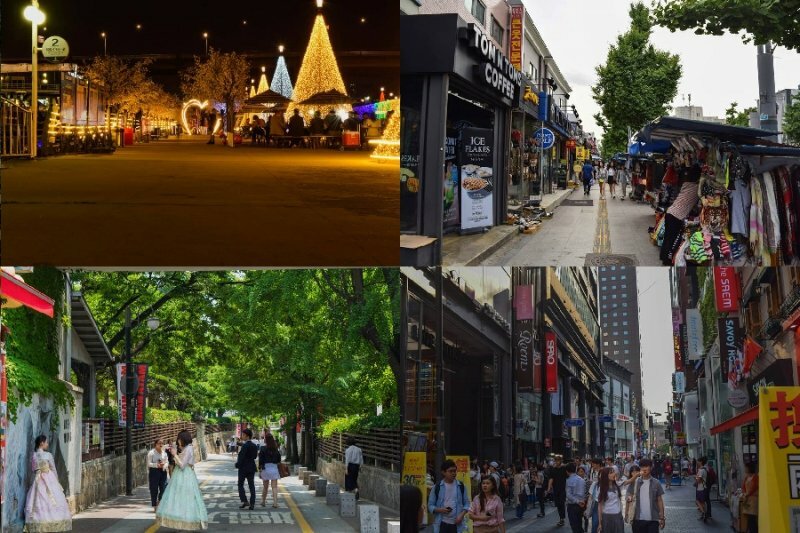 We visited Gyeongbokgung Palace, Bongeunsa Temple, Itaewon, Hongdae, Myeongdong, Gangnam, the Han River, Seoullo 7017, Bukchon Hanok Village, and staked out the JYPE Building Namsan. 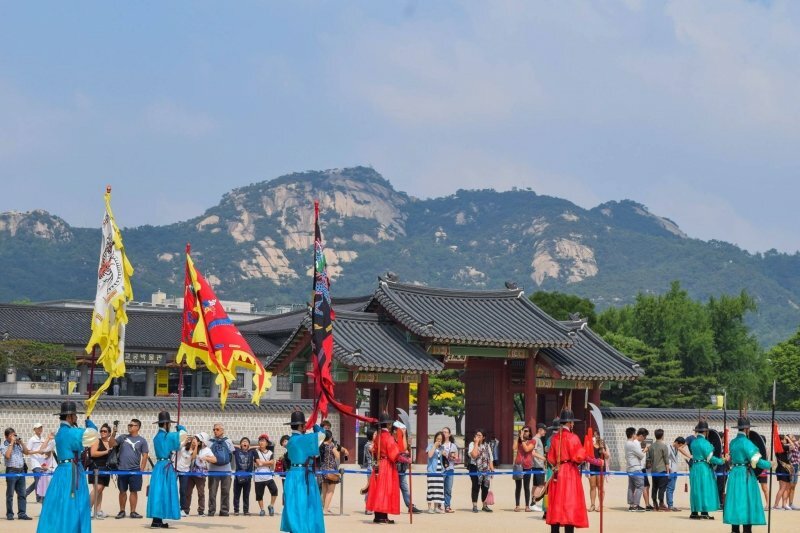 We paid for entry into Gyeongbokgung Palace (3,000KRW – RM11) but that was about it. The rest of the time, we simply found ways to save money. For example, at Namsan, rather than spend 10,000KRW (RM36) for a cable car ride, we hiked to the top! It was a good decision in the end as we got to admire some lovely sights on our way up. It’s not that difficult, but do be prepared for lots and lots of stairs! We did this two days after hiking Hallasan, so it’s entirely possible, even with jelly legs. P.s., I was just kidding about the JYPE Building. I was never there. And you shouldn’t stake out any building. You’ll never see the artistes. It’s a very rare opportunity. You will see nothing. Seriously. Nothing. Zero. Noth…okay fine, you might get lucky but in all seriousness though, don’t actually camp outside any entertainment office building. It’s frowned upon and could even get you blacklisted from any future events. Okay, this is where it gets tricky. So, assuming you followed our budget strictly, you will have about RM500 (137,600KRW) leftover for shopping. Depending on how you shop and what you buy, this should be more than enough. But let’s cover some basic money-saving tips anyway. While flashy malls like the COEX Atrium in Gangnam look really attractive, they’re not exactly the most economic place to shop at. 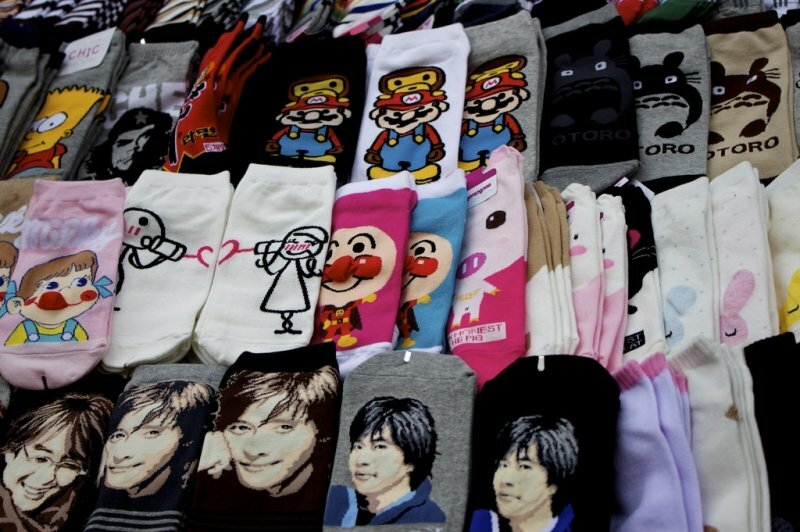 If you’re looking to buy some popular souvenirs like cartoon socks, pouches and other quirky Korean trinkets, head to underground malls and street markets. The price range for shopping at these places is from 1,000KRW (RM3.50) for a pair of socks to 10,000KRW (RM35) for more premium items like backpacks and exquisite chopsticks. 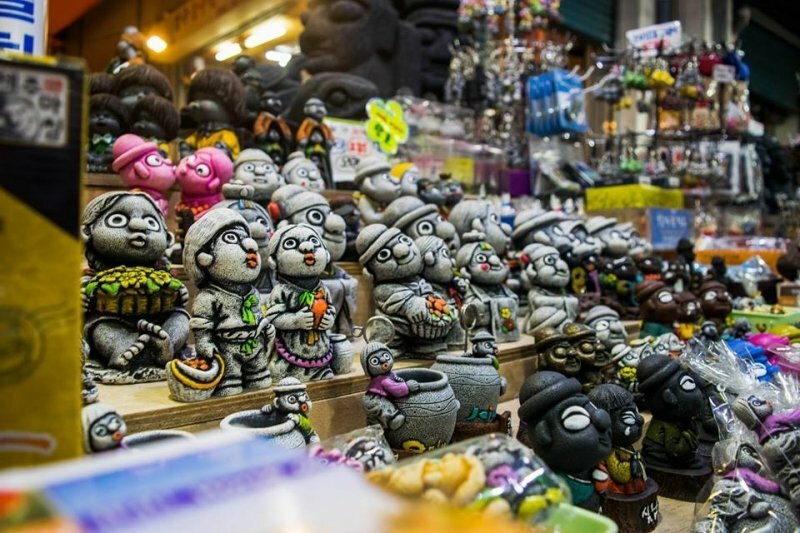 On Jeju Island, you’ll want to visit Dongmun Market and the Jeju Jungang Underground Shopping Centre for the best prices on Jeju specialty products, like hallabong chocolate, tangerine cookies and mini statues carved from volcanic rock. 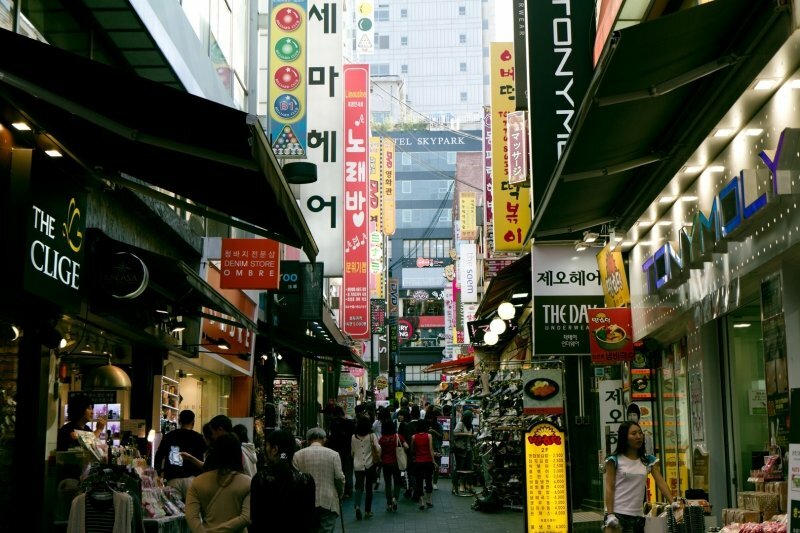 If you’re looking to buy K-Pop merchandise, head straight to the Myeongdong district. However, don’t rush to the glitzy shops on the streets just yet. Within the Myeongdong subway station is is Myeongdong Underground Mall. It is here where you will get the best deals. Prices range from 1,000 – 30,000KRW (RM3.50 – RM110) depending on what sort of item you’re looking for. 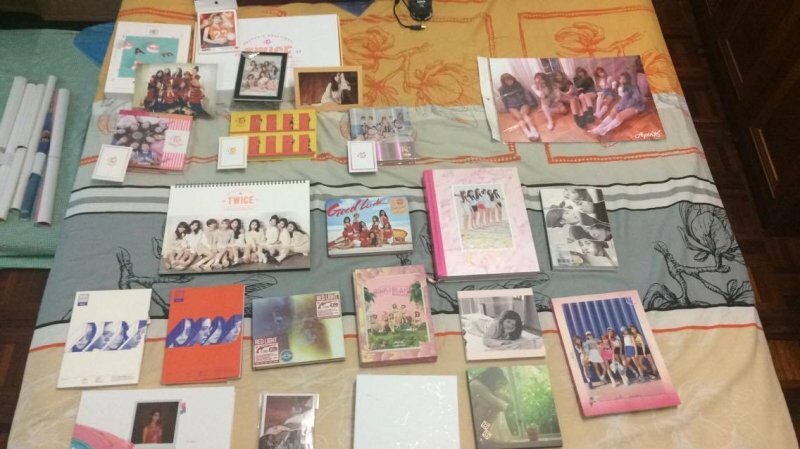 Albums and photo books tend to cost a lot more than posters, photo cards, and magnets/pins. Regardless of what you buy, rest assured that it is much cheaper than what you’d have to pay for in Malaysia! For those looking to stock up on cosmetics and beauty products, you’ll be tempted to flock to the store fronts in Gangnam. However, my tip is to stick to student areas, such as Hongdae. Prices here are often cheaper as stores try to cater to the budgets of university students. Another tip is to hit up Myeongdong where competitive stores (next to each other most of the time) give out free samples to attract customers. Finally, for the most typical Malaysian souvenir: snacks and food! 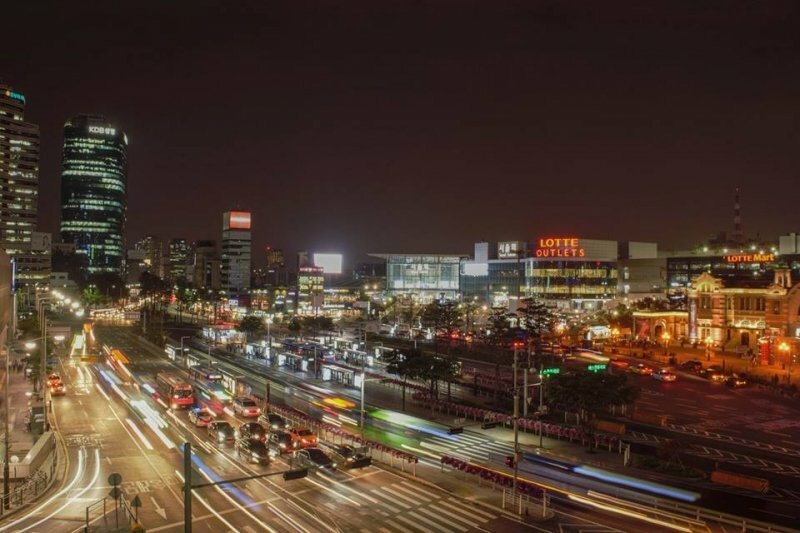 Your best bet is to visit Lotte Department Stores. 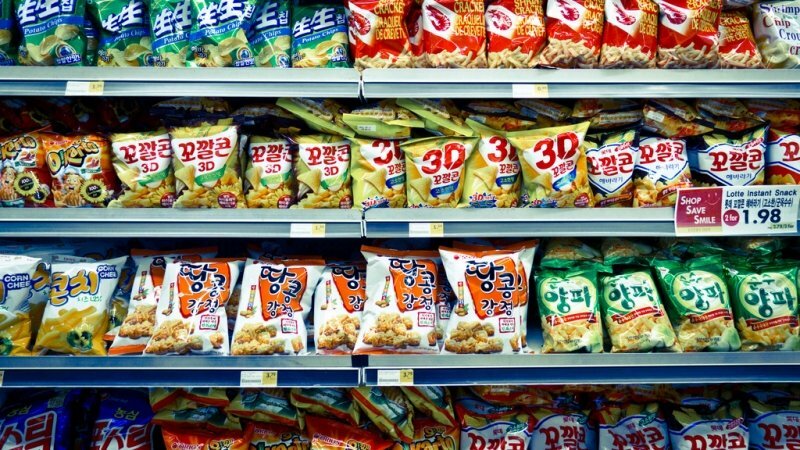 Not only will you be able to find a plethora of Korean snacks to choose from, prices here are often quite affordable as well! 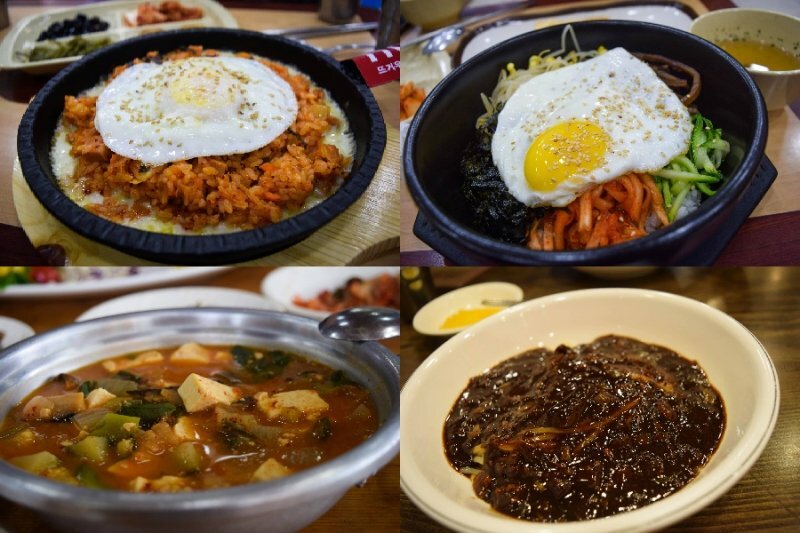 Expect to pay an average of 5,000 – 10,000KRW (RM18 – RM36) for each pack of food here. Although, if you ask me, those Honey Butter Chips that used to be all the rage a few years ago, don’t really live up to the hype after the first packet. And there you have it, 10 days, 3 major cities in Korea, all for under RM4,000! Although, I have to stress that this figure is quite subjective. For example, I spent quite a lot of money on souvenirs but saved on food but you can quite easily do the opposite. 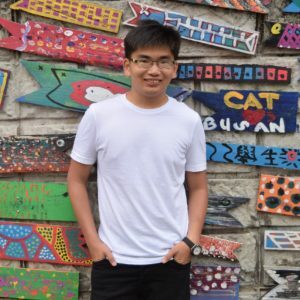 Regardless, I hope my tips can help you plan your own budget Korean adventure in the near future! It’s truly a lovely place that lives up to the hype!